287 people are looking at these sunnies! Smaller than I expected. Makes me feel like I’m wearing kid sunglasses. They do the job though. 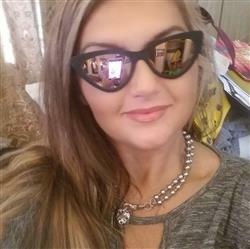 I ABSOLUTELY POSITIVELY LOVE THESE SUNGLASSES! THEY ARE MY FAVORITE PAIR NOW!! I LOVE THEM! I GET COMPLIMENTS ON EVERY SINGLE PAIR OF TOPFOXX SUNGLASSES I OWN!! I get compliments on there everywhere!